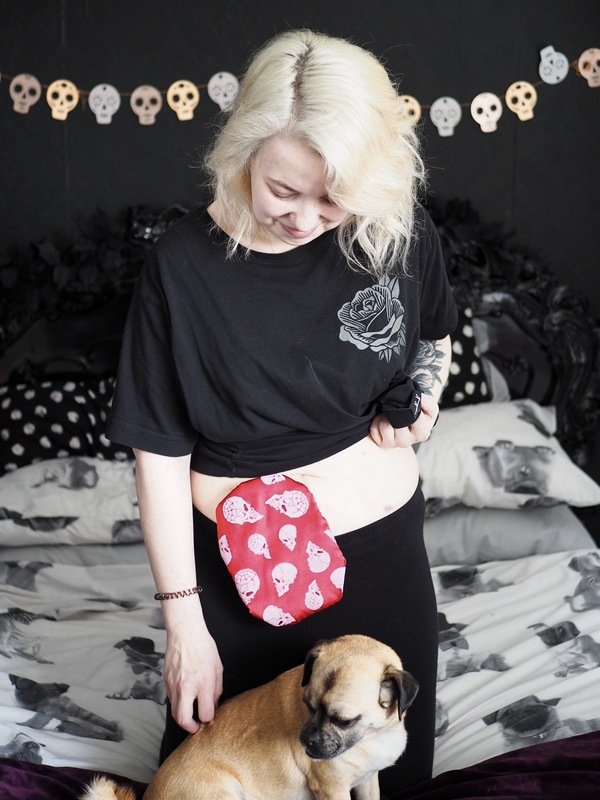 The Stoma Series: 6 Months With A Stoma! My gosh has that flown by. I cannot believe it’s been an entire half of a year!! 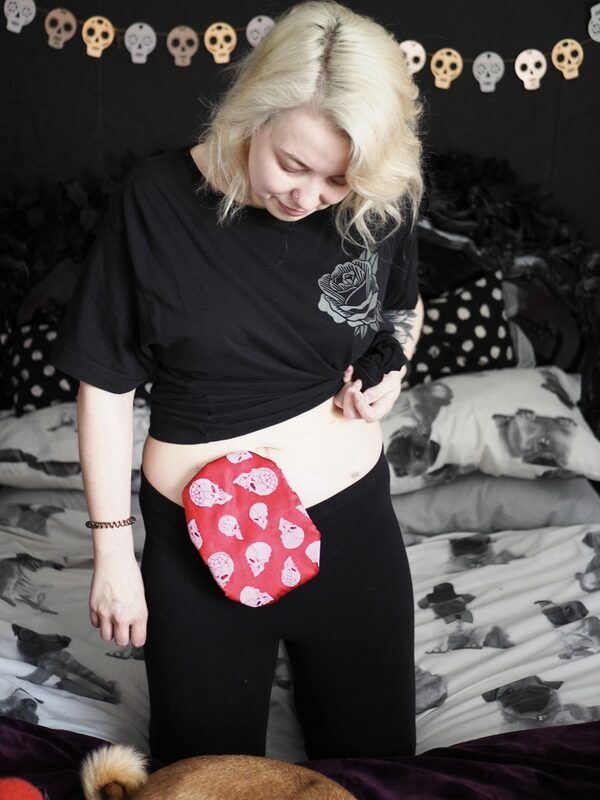 6 months with a stoma?! In some ways it feels like it was only yesterday and in other ways it feels like it was years ago. It’s been a very odd time to be honest, it would have been difficult enough recovering from just being ill or just surgery but throw them together and my god it’s been a journey. Todays post is just going to be a bit of a ramble about that journey and where I’m at now! Well, I didn’t bounce back like I know some people have. My body has changed quite a bit and it’s been difficult to keep up with it to be honest. My appetite has shrunk massively and if I eat too much it can put me in quite a bit of pain. As a result I’ve obviously dropped a few lbs, too. I’m still struggling with fatigue, brain fog, headaches and joint pain and my body can’t seem to regulate its temperature. I seem to always either be freezing or boiling and it can switch between the two almost instantly. On a positive note, I’ve been really trying to improve my fitness levels and my muscle strength as they obviously took quite a hit whilst I was unwell and when my core muscles were cut into. I’ve definitely seen steady improvement which I’m over the moon about as I really love exercising. Light exercise tends to help my joint pain too which is a win win. Generally speaking, I’m not doing too badly currently. I tend to have good and bad periods but it’s to be expected at this point. I’m dealing with the actual bag completely fine. 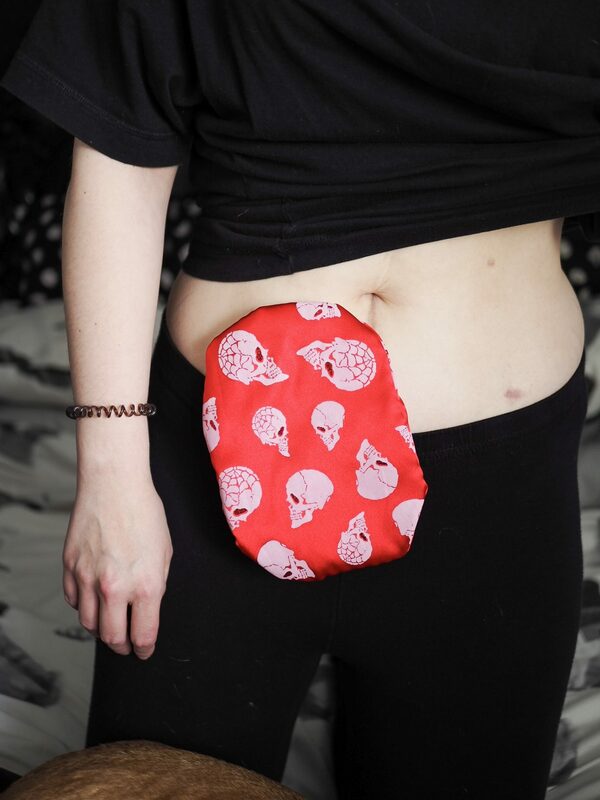 6 months with a stoma has been enough time to get to grips with how it behaves and how to deal with it although it can be quite erratic. I do still have bad days with it too when I struggle to digest things, feel really sick or it just generally causes havoc but I manage to deal with them as well as I can. I never realised my mental health would take such a hard hit if I’m honest. I don’t want to go fully into it all but I did want to bring it up as I think it’s something that people tend to dismiss so much. I’ve suffered with quite bad anxiety for as long as I can remember anyway but you’d think after going through all the things I have and after all the health professional contact I’ve had, someone would bring up the conversation of mental health. Not one did though, it took multiple booked appointments to get help. Things are slow but they are looking up, after spending the best part of 18 months pretty much house bound, it’s really hard to get back into the swing of normal life. I felt like I lost my life and myself completely when I got ill, I haven’t been able to work, I couldn’t see a future for myself outside of the four walls I was in. I stopped singing, I stopped applying makeup, I had no energy or life in me to do these things anymore. This blog was the only thing I had any sort of hope in as it couldn’t be taken away from me and I could work on it without completely exhausting myself and making myself more unwell. I definitely need some more time to deal with and accept everything that’s happened and commit to moving forward. I’ve been really hard on myself for the most part, saying I should be over it all by now. It’s crazy because if it was someone else, then I’d be telling them they need to take all the time that they need to heal. It’s really overwhelming to think about everything that’s happened and how unwell and vulnerable I was, even looking at photos of myself back then breaks my heart. I just need to remember that it’s going to take a while and I need to allow that time for my future self. I’m not going to lie, recovery has been a whole lot harder than I’d thought it would be. There has been a hell of a lot to deal with and a lot of moments where I’ve wanted to give up. Whatever your situation is, it’s really damn hard to keep a constant positive mindset. I think I’ve done really well but I’ve definitely had wobbles and periods where I just haven’t wanted to try anymore. I know it will get better, though. I have some more than wonderful people around me, a lot to look forward to and a lot of potential. I just need to believe in myself more. I’m really gradually feeling more like myself and more like the woman I want to be. In the way I look, the way I handle things, what I do and the way I present myself. I’ve always been a crazy, bubbly and smiley person but I definitely lost my spark and sense of self for a while. I’ve started singing again, I’ve been getting back into beauty, I’m feeling more happy with my life despite not being where I thought I would be. Even though it’s extremely hard, I’m challenging my anxiety every single day and breaking down barriers I thought I would never get past. I’m real damn proud of myself. The fact that I’m even sat here openly writing positive things about myself and my life is an absolute revelation! You know what, I currently have absolutely no idea and for the first time, I’m not TOTALLY freaking out! I mean, I am a little bit but it’s not taking over my life like it would have before. I’m going to continue doing what I am and see what happens. I’ve been through hell the last two years and happiness and healthiness is my main priority right now. I’m also doing a sponsored walk again this year for Crohns and Colitis UK on the 18th May so I would be SO appreciative if you sponsored me even £1 on this link here. I don’t regret my surgery at all considering the state I was in but it’d be amazing to be able to raise as much as possible to go into research for finding a cure so that others hopefully won’t have to go through the same thing. Thank you! 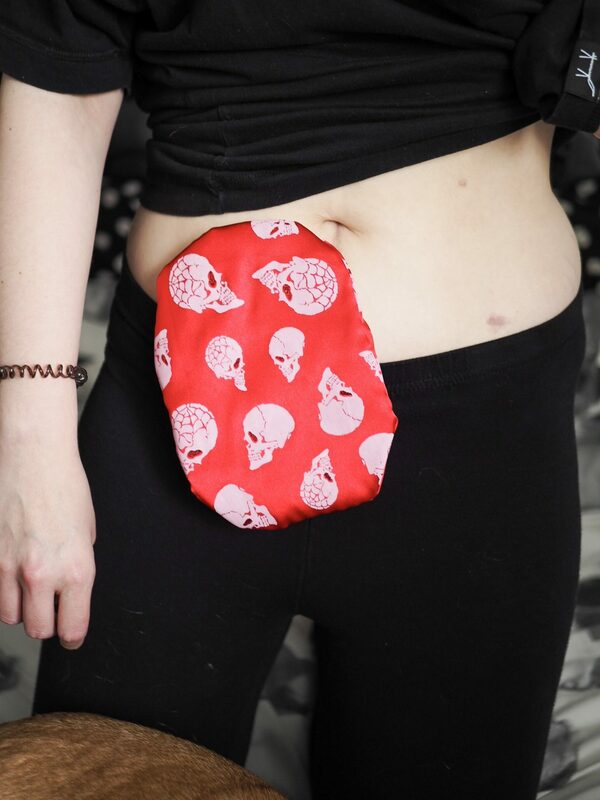 My IBD Journey: Diagnosis Part 2! "Altering Social Media To Help Your Mental Health!" That’s gone so fast! I’m glad that you’re gradually feeling better! I’m so glad you’re gradually feeling better my darling! So proud of how strong you’ve been through your recovery! So glad to hear that you are feeling more positive! First of all, LOOK HOW AMAZING YOU LOOK (and Nacho obviously). You can definitely tell how much more positive you are just from being around you but you can tell on the outside as well, you’re absolutely glowing. I’m so glad you’re breaking down barriers and of course there will still be down times, but you’ve already achieved so many amazing things and I know you will continue to be amazing too. You definitely need to keep in mind that there’s no time limit to healing, physically as well as mentally, you’ve been through SO much and it’s okay to give yourself down time. Plus I’m ALWAYS here for you and wanting the best for you, whether it’s to comfort eat and have a cry with or to laugh and go on adventures with. I love the bag cover as well, it’s so you!